Photography can be considered as an art and it has taken on as a commercial prospect as the time has passed. If you are a photographer or have a creative agency then you definitely need a place where you can showcase your work to the clients. There is a need for a central hub to showcase your work and career as a photographer. The best way to showcase your work as a photographer is through building a portfolio related website. One of the greatest advantage to have a photography website is that you have the control over design, branding, information and navigation. This helps to engage the visitors and the clients in a unique way. It is advised to opt for a simple and clean layout to build a photography website as accessibility and functionality are the most important factors to build a successful site.Depending upon the type of photography that you provide, a web store can be highly beneficial. One of the key element that should be included to build a photography website is including Contact forms that helps the client to reach out to you very quickly. 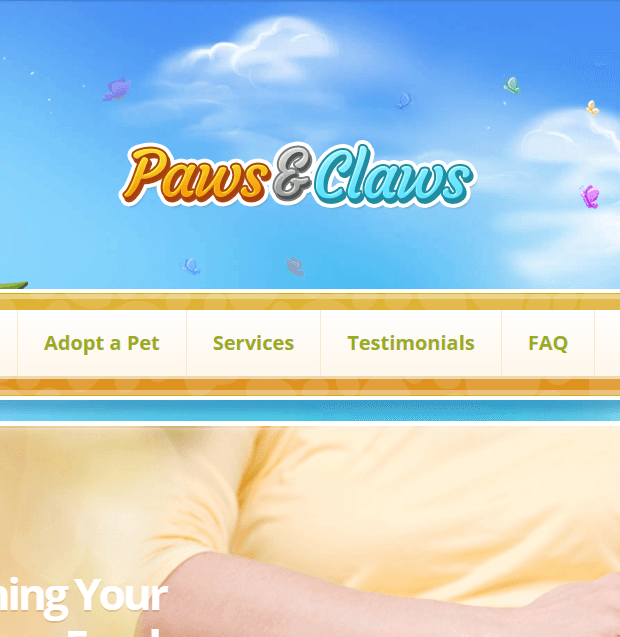 Different transition effects and a responsive layout makes your site appealing for the visitors. If you are building your website using WordPress then there are many responsive Photography WordPress themes available. With the best suitable Photography WordPress theme you can build a complete website with gallery pages, blogs, amazing layouts and even shopping cart. Photography is a responsive WordPress theme that allows creating menu designs very easily from more than 8 menu layouts. This theme is one of the most popular themes available in Themeforest which provides with many single portfolio templates and also different layouts for the blog posts. It also allows creating beautiful pages very easily from drag and drop content builder. The demos and layouts for this theme are endless and also provides with live preview for the typography with more than 500+ Google fonts. It also allows displaying the navigation links into columns with Mega Menu support. Photography is the best WordPress theme for photographers with a very clean layout which is available in Theme Foundry. There is a built in drag and drop interface that helps to organize the galleries and allows to upload unlimited images directly from the dashboard. It provides with two different gallery options such as Portrait and Landscape. This theme is widget ready and provides private galleries for the customers. To make the homepage more appealing for the visitors, it allows using image slider and provides with different color schemes to select from. 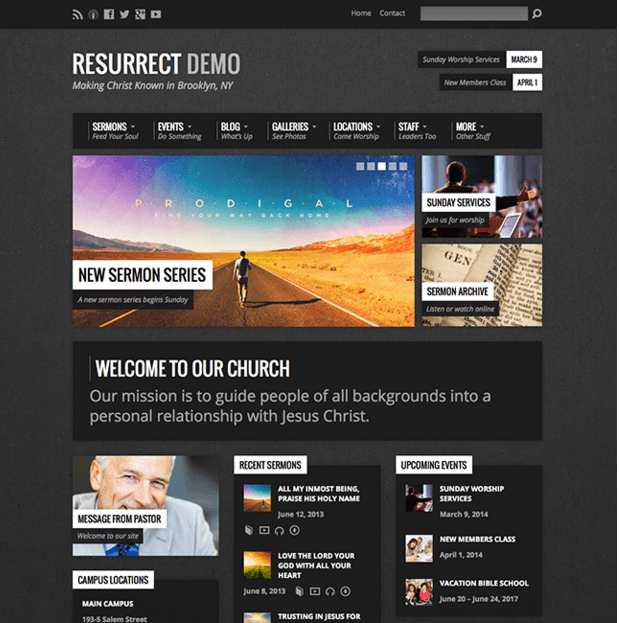 It is a very responsive theme which is also retina ready. 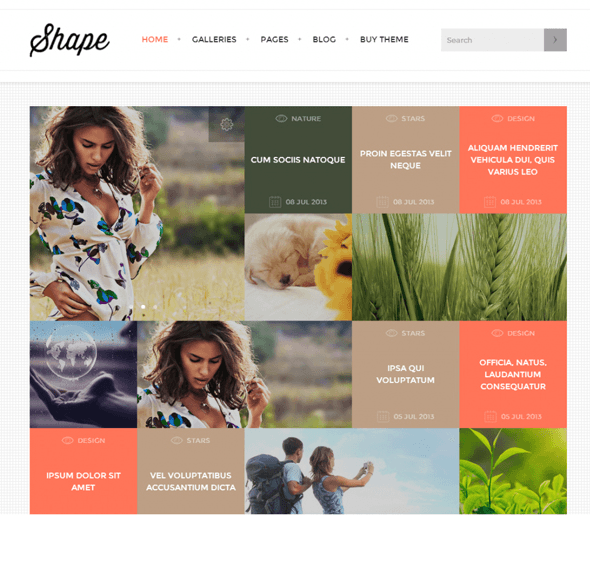 Shape is a highly customizable photography theme released by Tesla themes. It provides with the grid style home page that allows managing the look of the theme from the admin area. It provides with many shortcodes and allows adding predefined elements very easily. This theme looks great on all the screen resolution and provides with a very responsive layout. There are also filter checkboxes for the portfolio gallery. It is well integrated with different social media services that allow building the brand. It allows sending the message quickly without reloading the images due to Ajax contact form. 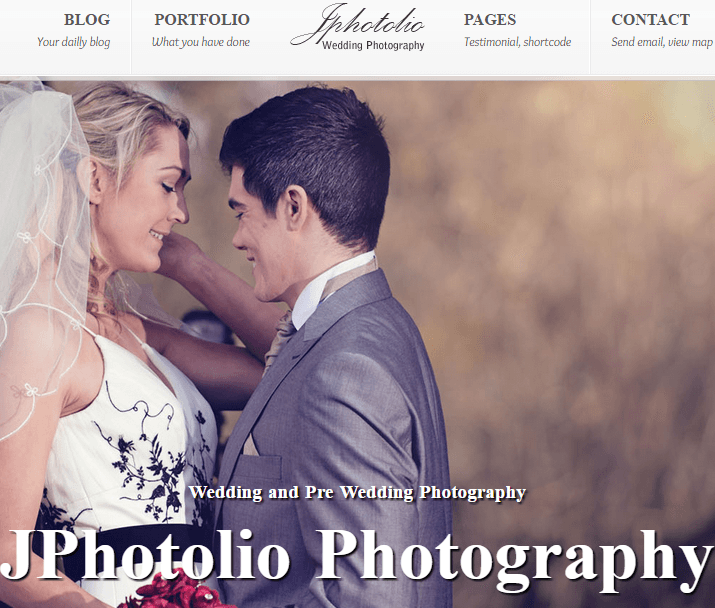 JPhotolio is a responsive Wedding Photography theme designed for Photographers. It allows having multiple numbers of portfolios with unlimited style and color scheme. This theme allows you to display the Front slider that allows you to display all the images in an elegant way. There are plenty of options available that allows changing the style from more than 500+ Google font and 90+ color options. It also allows you to create your own style from the style manager and allows creating very unique contact pages. It comes with the powerful admin settings with drag and drop elements which are very easy to work. 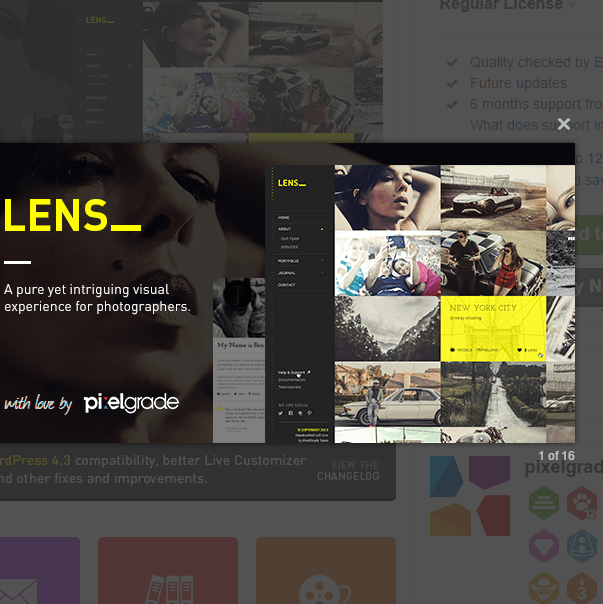 Lens is the Themeforest premium WordPress theme that is designed for the photographer and photography agencies that allows showcasing their work in an elegant way. It comes with the PixelGrade package of the PixCodes plugins with many color options and the responsive slider galleries. It comes with the fixed left sidebar menu and provides a good flexibility for the home page. It provides with the unlimited color options and allows customizing the look as per the requirements. There are 3 default portfolio settings and is well integrated with the social media options. It supports multiple Post formats and 5 custom designed widgets which are very simple to use. Right Now is the modern Photography theme by Themeforest that is best suitable for the Photography related websites. It provides with a clean and fixed layout with an appealing page navigation element. It is also well integrated with JWPlayer that allows to play the videos and also provides with the audio control with the help of the Advanced Playlist. It also provides with multiple theme options for the color picker and skin selection. This theme also supports special elements and buttons with more than 650 Google fonts. It also allows making Winamp style playlist which allows to adjust the volume. PhotoMaker is a beautiful and simple WordPress theme by InkThemes to build a Photography website. It features a full width slider and a sidebar that makes it very appealing for the visitors. It supports special portfolio page along with the light box. There are multiple blog page template and options panel that allows customizing the site as per the requirement. It provides with a very responsive layout that looks great on all the devices. It also have a prebuilt single color skin with 12 color options to pick from. One can also showcase the services from the service page with different styling color options. Zoomy is a clean layout and well designed WordPress theme by Tesla themes that is perfect for showcasing the portfolio and work. It supports multiple custom widgets and 10 in built custom post formats. The homepage of this theme consists of different sections to display latest work, skills, best photos, project work, partners etc. There are also multiple page layouts available in two, three and four columns. It also has a large slider with navigation buttons to view the images easily. It is also compatible with WPMl that allows creating a multilingual website in different languages. The design and the style of the theme is very easily managed by the built in design structure, It also provides with the custom shortcodes to add different elements. Evolution is a premium WordPress theme that is created by Elegant theme to build corporate and photography related website. It comes with four distinct layouts and helps to create custom pages from the drag and drop builder. It allows showcasing all the work and projects and provides variety of page layouts for portfolio page. There is a smooth transition effect at the home page slider which looks really amazing; there are different options available for managing the slide shows. It allows customizing the site very easily from the e-panel options panel without touching a single piece of code. 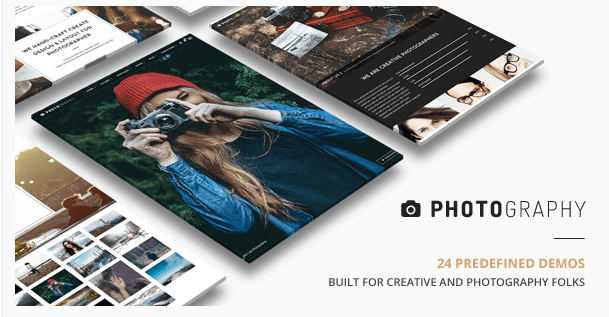 Photocrati is a premium WordPress Theme by Imagely which is designed to build photography websites. There is also a Customize Theme panel that allows changing the colors and the layout which is simple and easy to use. It also allows to resize the images from the image resolution option and also there is a built in gallery management options. There are also built in light boxes to open the thumbnail galleries. There are 60 different designs that one can easily flip from the right. In order to ensure the security there is a strong copyright and image protection options. There are also options to create and save the designs that are created by you. Tripod is a responsive WordPress Theme by Themeforest that has a drag and drop page builder to build professional photography websites. It allows displaying a huge amount of media and a wide array of page types. It provides with a very responsive layout with unlimited custom templates and outstanding animations. It allows displaying slider and large full width featured image that captures the attention of the readers. The post page supports 6 columns and can be viewed as a grid, list and thumbnail type gallery. It also supports unlimited sidebars that allows to add as many widgets as you need. There are built in related posts and 100+ shortcodes that eases the work. Divi is a multipurpose theme from Elegant themes with an attractive design and wide range of features. It is bundled with many customization options and divided into different sections. It has a drag and drop powerful page builder that allows to create your own designs by simple page editor. It comes with more than 40 content modules that allows to add call to action, galleries, accordion, social buttons etc. The powerful role editor feature allows to control how the users and clients will handle the backend. There are 11 different column based layouts that are available. There are also 32 ready made layouts that one can use from the post editor. Innera is the perfect WordPress Theme to build a corporate or portfolio related website. It provides with a very clean and easily customizable layout. It also allows creating your own layout with the drag and drop builder. It displays the content in a beautiful way due to the responsive WordPress Slider Plugin Revolution Slider. It comes packed with the Visual Composer plugin that allows building the pages with the desired structure. This theme provides with a very responsive layout that looks great on all the devices and is best suited for the high resolution devices and also is retina ready. 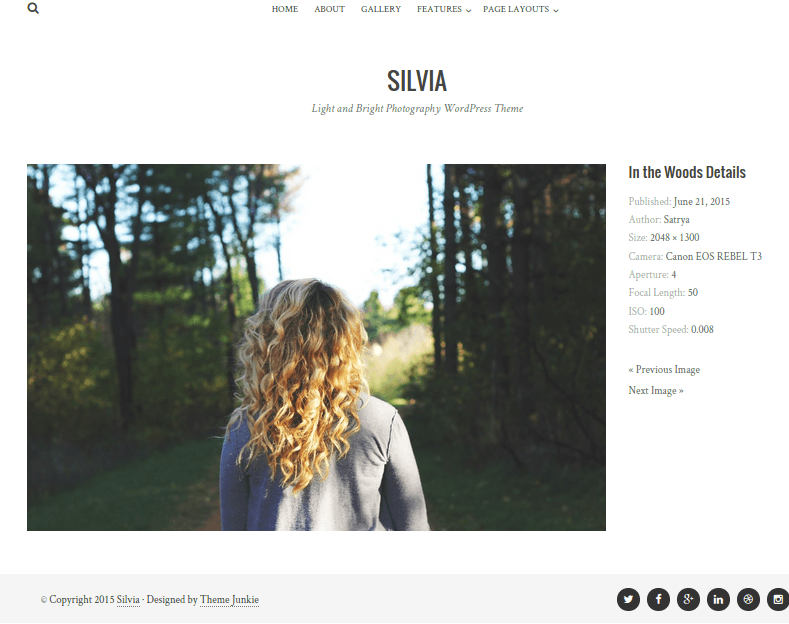 Silvia is a photography theme by Theme Junkie for promoting your portfolio and sharing your work online. It allows publishing the images on the website in a very creative way and customizes the typography, layouts, design etc. through the advanced customizer control panel. There are multiple content layouts with different sidebar configurations with multiple column and grid layouts. There are 3 different layouts for the pages and also supports Full width layout. It is also compatible with the Polylang Plugin that allows creating a multilingual site very easily. 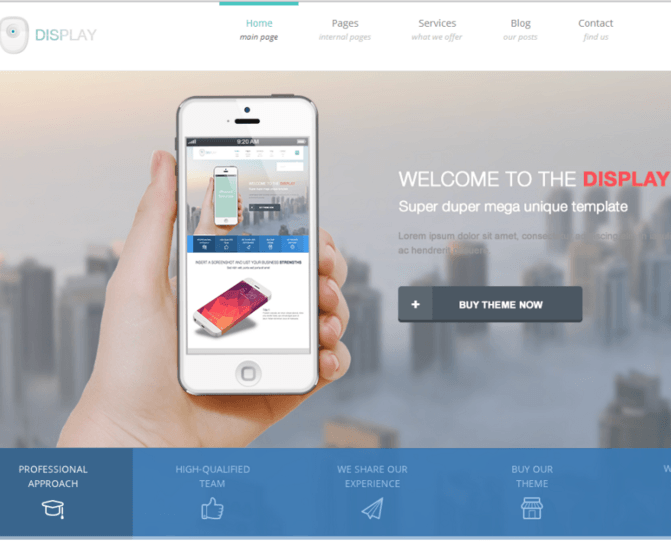 This theme is also optimized for the retina devices and provides with a very responsive layout. 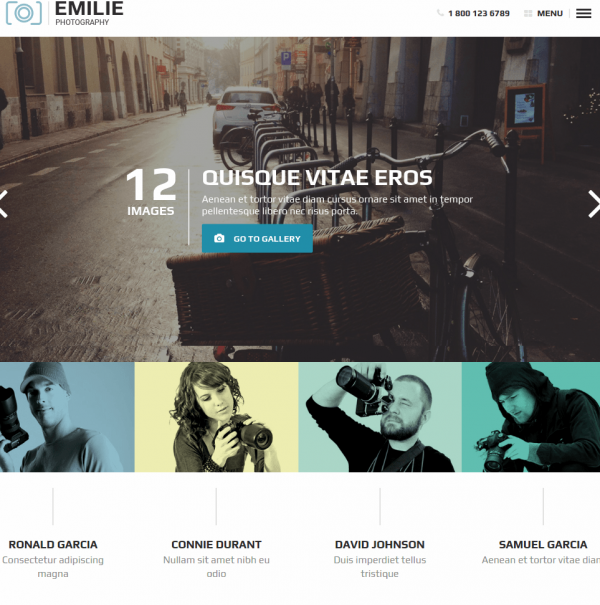 Emilie is a creative WordPress theme for photographers that is created by Themeforest. There are multiple option for the home page and is created by Twitter Bootstrap 3 grid system. It offers four different styles for the of homepage layout such as fullscreen, fullscreen scroll, masonry grid and the smart grid style. It gives you the option to create a fullscreen home page and you can include local video, Vimeo and Youtube in the full screen page. It also offers carousel slider, homepage slide, smart grid layout and many more. It is also compatible with the Google fonts as well as the Google maps. 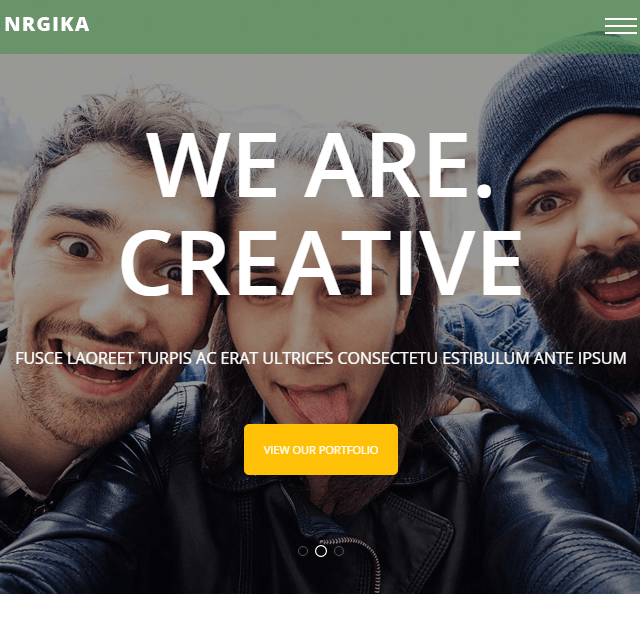 NRGika is a portfolio WordPress theme for the creative agencies and freelancers. It allows to create a quick and easy portfolio to showcase the work and attract more visitors to the site. This theme has 5 pre built home page and 6 color schemes that allows to customize the site very easily as per the requirements. It also allows to create multiple page layouts with the Visual Composer plugin. 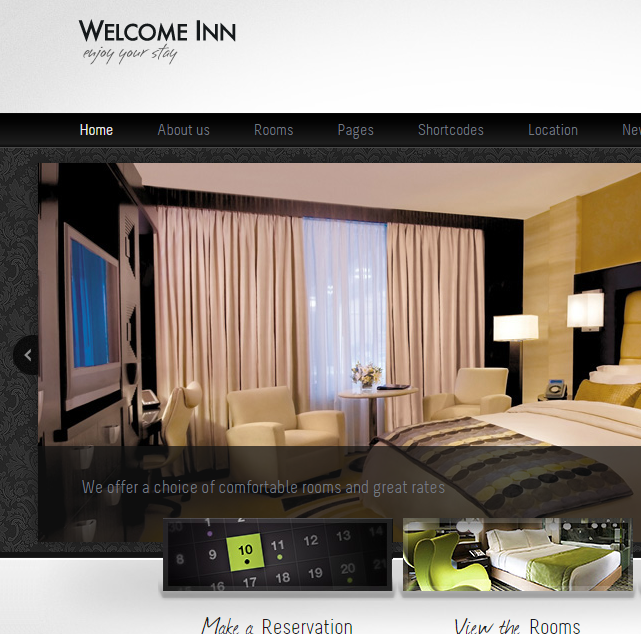 This theme offers a clean layout and a better experience to the users as it is build from CSS3 Content animation. This theme comes with built in contact forms, Isotope Portfolio filtering and easy to use shortcodes to add different elements. 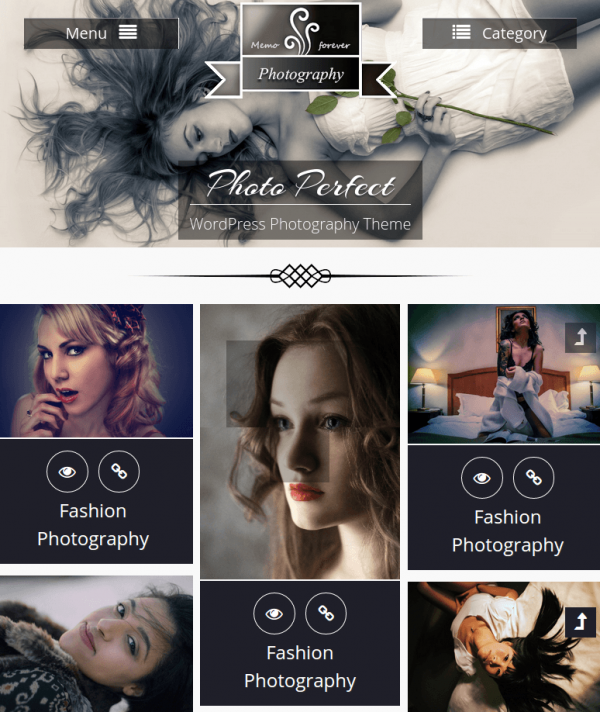 PhotoPerfect is the best WordPress theme for Photographers that is created by WEN themes. It provides with a very responsive layout that looks great on all the devices. It helps in uploading the higher resolution images or banners to the headers that shows your most recent promotion. It is bundled with many theme options that allows to customize the site as per the requirements. It allows to show your favorite post on every page of your site through the sticky posts. It also allows to customize the menus of the header from the custom backgrounds and custom menu options. It provides with a very responsive layout. Frame is a perfect photography theme to build perfect photography websites and provides with a very clean layout. It allows to add different elements for your site very easily from the drag and drop builder and allows to drag widgets to the content area. It also allows to add different animations and effects through the Revolution Slider. It allows to set different layouts for the pages and posts through the advanced Page Format options. It comes with 4 different page formats and provides with a very responsive layout. It looks great on all the devices of different resolution and is retina ready. ARKFIELD is an elegant WordPress theme that is specially designed for the people who want to showcase their work. 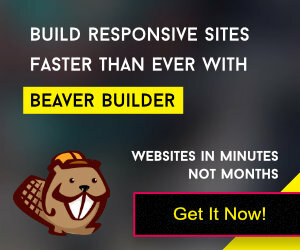 It is a very powerful theme that comes packed with a very powerful page builder that allows to add different elements for your site very easily. It gives you full control over the text as well as the graphical content with more than 9 shortcodes. It also offers the grid layout, different typography, smooth animations and fancy buttons. It also provides with a very responsive layout and the site looks good on all the devices. It also offers different tools to show your social media presence through social icons, social links menu and social team members. Kinetika is one of the very powerful WordPress theme that is offered by Themeforest. It is a multilingual theme that is compatible with WPML and includes .po and .mo language files which makes localization a very simple task. It also allows to build your own online product selling shop through the WooCommerce plugin. It looks great on all the devices of different resolutions and is retina ready. It also supports full screen videos and images which makes it more appealing for the visitors. This theme provides with 7 different options for slideshow and three different header styles. For the better security it provides with password protected portfolios. Display is a multipurpose creative theme to build the websites related to photography and creative agencies. It is a very simple theme that allows to customize the site from different customization options that are available. It is build by Tesla framework that allows to customize the functionality and look of the site with great ease. It offers Revolution slider that allows to add different animations, transitions and 3D effects.There is a built in shortcodes that allow to add different elements for your site and also provides with 7 custom widgets. There are 12 custom posts and 6 page templates so that the customization can be done as per the requirements. The above listed themes will definitely help you to build the best responsive WordPress site related to Photography. Hope this post was helpful to you and feel free to share your thoughts.